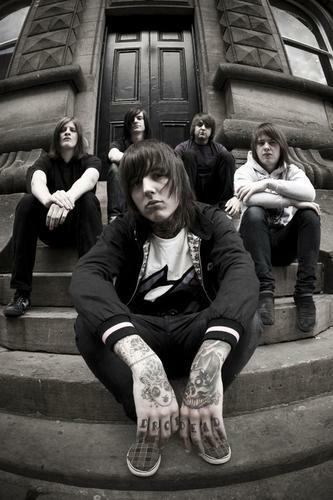 Bring Me the Horizon are a British metalcore/screamo band from Sheffield, Yorkshire, who formed in 2004. They play a style of music that fuses death metal and metalcore, known as deathcore — although they have taken on a more eclectic style with their latest album. Незнам за другите ама аз съм влюбена в Оливър от момента в който го видях на снимка в гугъла! А музиката им е върховна!